Fulfill offers wide range of efficient Single and Three phase Line Chokes, designed as per the industrial norms for Inverters safety. 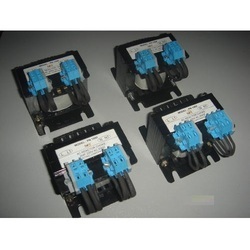 These are connected in the mains supply to the inverter and provide best output. Moreover, these are compact, elegant and light weight. Reducing harmonics caused when mains is rectified for creating a DC link. Reduce the peak currents drawn by the inverter or other device. Help to protect the input rectifier from mains problem. Ensure complete safety of input rectifiers and phase correction. 1. Reducing harmonics caused when mains is rectified for creating a DC link. 2. Reduce the peak currents drawn by the inverter or other device. 3. Help to protect the input rectifier from mains problem. 4. Ensure complete safety of input rectifiers and phase correction.